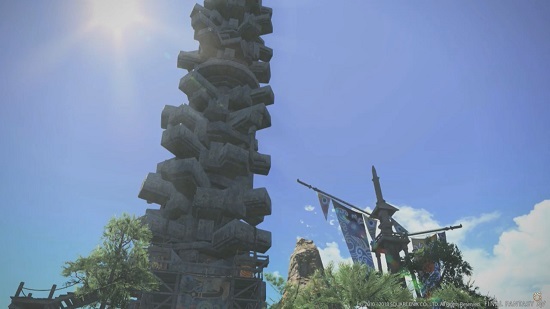 FFXIV’s next big update Patch 4.3: Under the Moonlight will be delivered to players on May 22nd it has been revealed during the latest entry in the Letter From The Producer Live live-streams. During the show with Producer / Director Naoki Yoshida, a special guest joined the show in the last half – none other than the creator of Italic himself – Yasumi Matsuno, to further discuss the second tier of the Return to Ivalice raid series. As with every major patch released for Final Fantasy XIV, the Main Scenario revolving around the player character and the Scions of the Seventh Dawn continues for yet another instalment full of twists and turns. Patch 4.3 will see the storyline regarding the far eastern land of Doma come to a dramatic conclusion as the newly installed leader of Doma, Hien, grapples with a tense prisoner exchange with the Gatlean Empire. Can we trust the Empire’s intentions at face value? For a faction that has invaded Eorzea and caused a devastating calamity five years ago, there isn’t much reason to trust them. Several jobs will receive adjustments as part of Patch 4.3, it was noted that the Tank role of Dark Knight could be due for a complete redesign but we shouldn’t expect it during this patch series – as this redesign would take at least six months of development time. 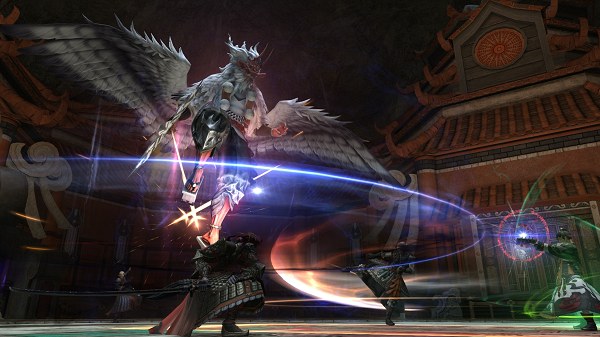 Dark Knight, Monk, Astrologian, Black Mage, Samurai and Scholar will all receive adjustments with this patch. • Samurai – Potency increases, Basic combo potency to be increased, possibility of empty control (remove empty like Machinist / Bard?) to be included with these adjustments. • Dark Knight – Potency increase across the board, animation cool downs to be reduced, defence buffs. • Astrologian – Cast times for Attack Spells reduced across the board, Lightspeed MP cost of affected spell reduced from 50% to 25%, Danage reduction effect currently on this spell to be removed. • Scholar – misc Pet adjustments. • Monk – Skills that allow Monks to reduce the amount of Emity they generate will be introduced. • Ninja – Unspecified adjustments for use with the Deep Dungeon Heaven on High. Remember the Jenga tower in the Ruby Sea that the camera focuses on for a long dramatic pause before never being mentioned again? Players were correct in their assertion that this will be the new Deep Dungeon – similar to Palace of the Dead – with a focus on quick experience gain and it’s own levelling system. Rather than contain 200 floors of challenging MOBS, Heaven on High will feature 100 floors with the really hard content beginning on floor 31. It was also mentioned that a “grand summing” system will become available in Heaven on High, but what this actually entails is currently unknown. 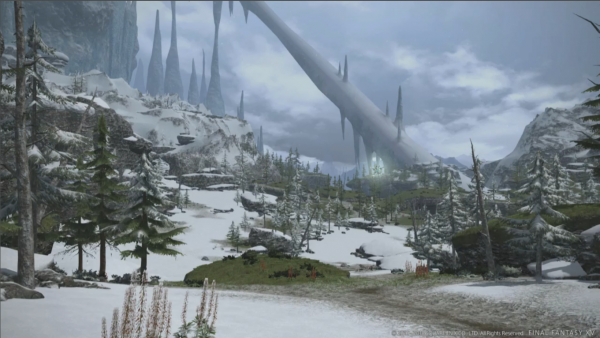 Our last expedition to the Forbidden Land of Eureka seems like it has been a success with the announcement of the commencement of the Pagos expedition expected to be released sometime in June. This snowy region of the misplaced island of Val could very well focus on the Blizzard aspected aether that players use to defeat some of the Notorious Monsters across Val. Once players locked down the pattern of knowing the NM spawn times, moving as a cohesive “train” from Monster to Monster and power-levelling. The obvious problem with this system was that lower level characters could contribute to the battle against the stronger NMs like Pazuzu. Here’s hoping the vague promise of ‘new gameplay elements’ can make our time in Pagos engaging and entertaining. 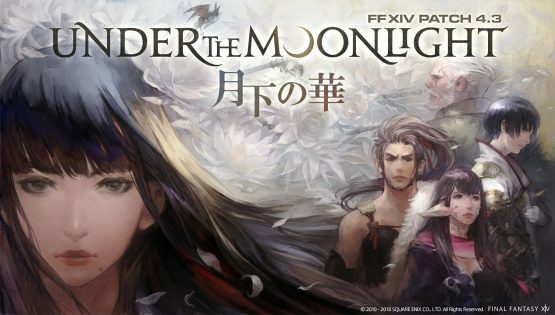 Final Fantasy XIV Under The Moonlight will be released next Tuesday, May 22nd. Alongside everything outlined above it also brings a brand new 24-person raise, a new Extreme Trial, a mysterious unannounced Story related trial (it’s Zenos.. come it has to be) and the Ultima Weapon’s Refrain (Ultimate) – the next segment of the ultra-hard content for the top % of players. For further coverage check out my post from last month.